Presentation Switch Rods are a great way to have a high efficiency custom rod at an extremely favorable cost. These rods are deep casting tools that will deliver your fly with power and grace. 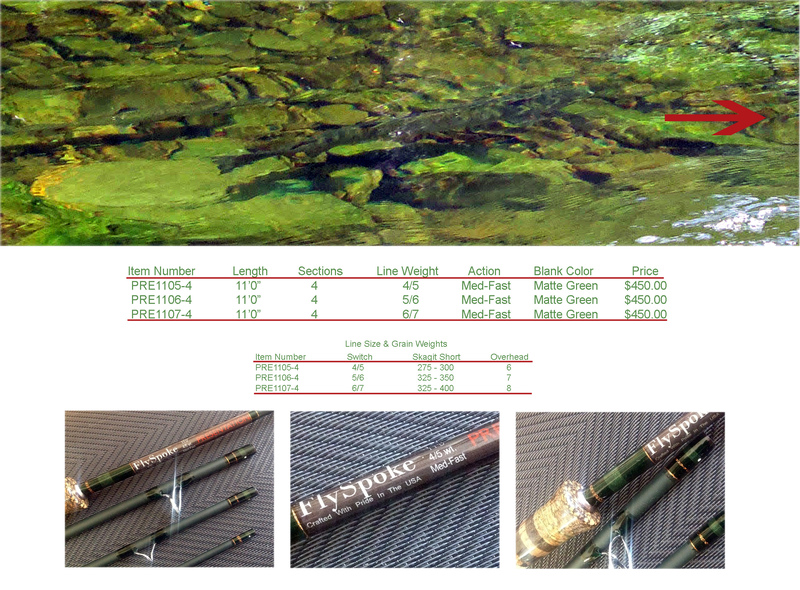 A bit slower and deeper loading than today\'s fast action rods making it the perfect short head Skagit weapon. The deep matte stealth green black is complemented with accented burl grips.